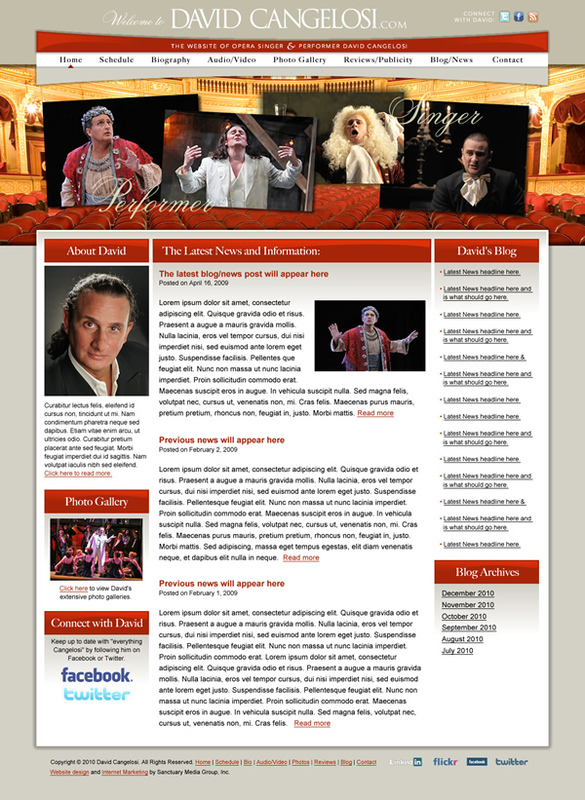 We work with a wide variety of clients here at Sanctuary Marketing Group when we’re designing websites – business owners, inventors, corporations, magicians, rock stars – even famous opera singers. 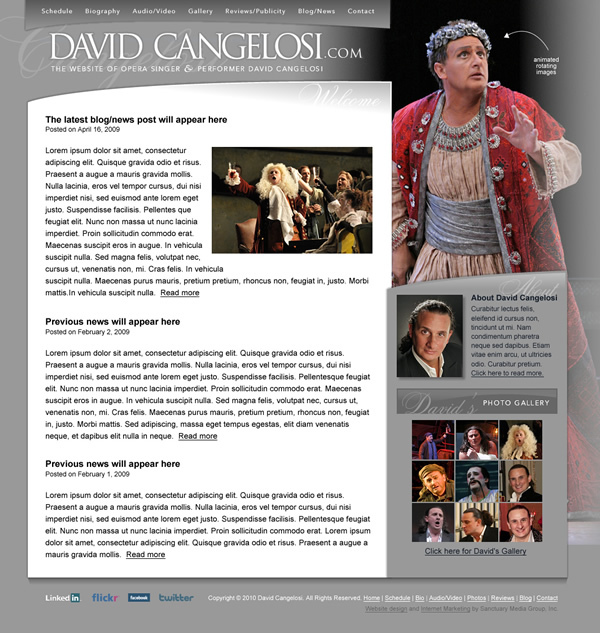 Recently we’ve been working on a new website for world-renowned Opera singer David Cangelosi who has sang and performed all over the world at places like at the Met and collaborated with everyone, including living legends like Placido Domingo and many more. 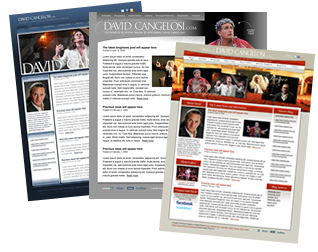 To show some of the work we can do and to give a preview of where David’s new site might be going, here are some of our favorite concepts! 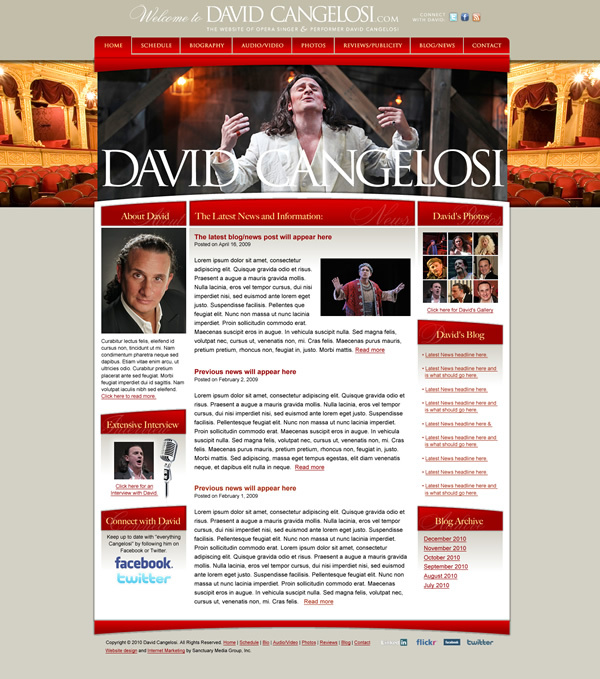 Creating this website and working with David has been a fun and creative endeavor so far and we look forward to unveiling the finished website in the near future. Enjoy. UPDATE: Here is the final design!